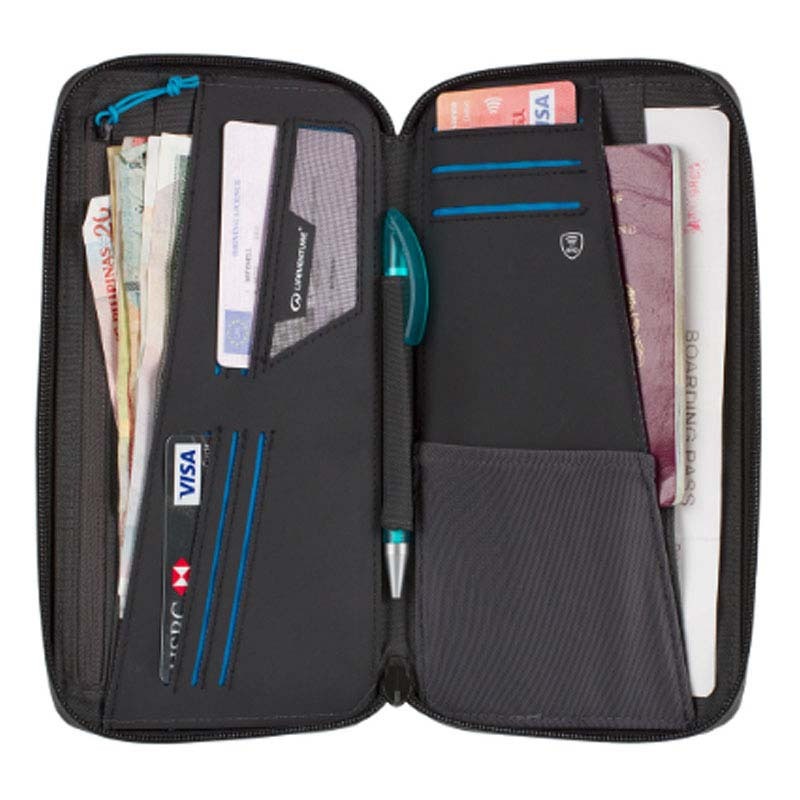 This comprehensive RFiD travel wallet will hold all your travel documents while you're on the road. 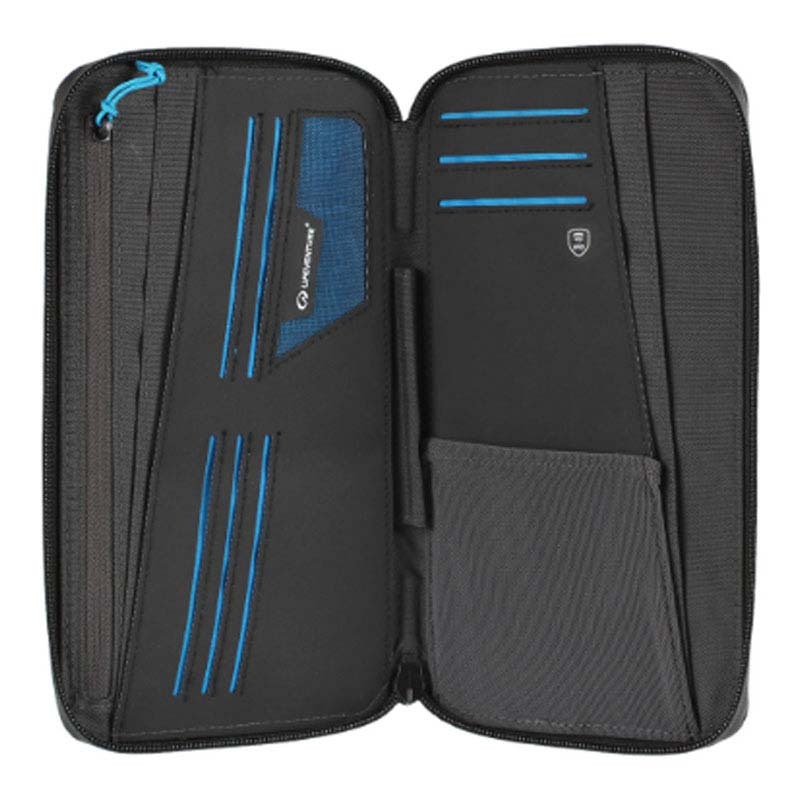 It has enough capacity to manage all your essential items for as long as you need. 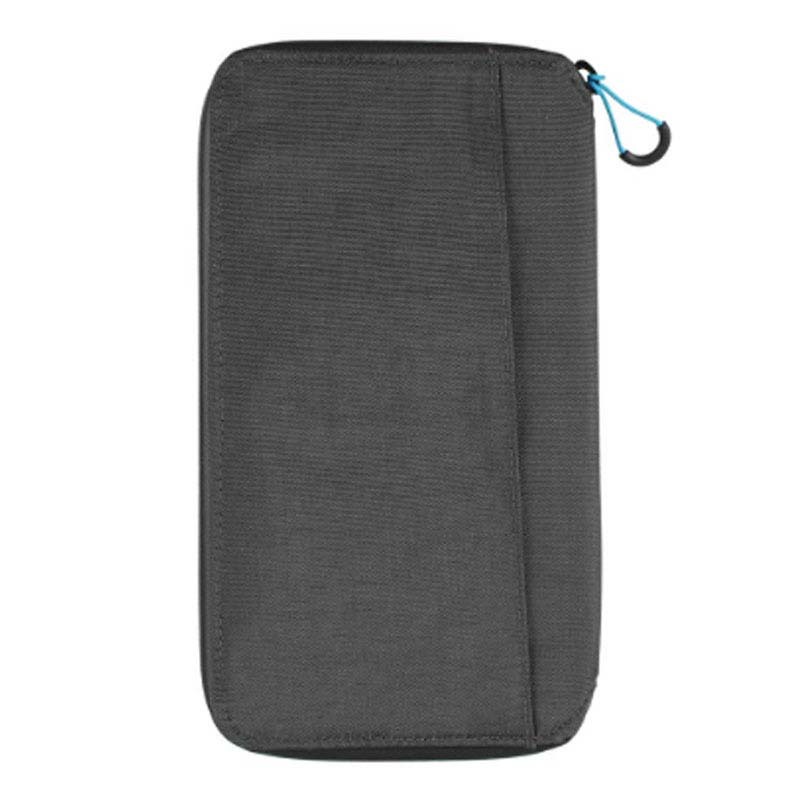 Multiple pockets inside ensure everything stays organised and water-resistant zips keep your things safe in the most chaotic conditions. 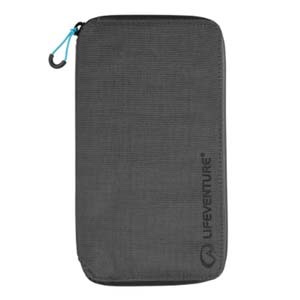 Includes 9 card pockets and 3 additional pockets for notes or tickets and an internal zip pocket too.